A new adaptation of Macbeth makes its U.S. debut at the Chicago Latino Theater Alliance’s Destinos festival. 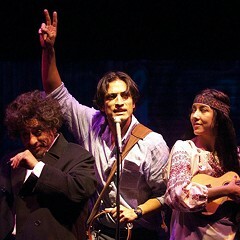 10/3-10/7: Wed-Thu 7:30 PM, Fri-Sat 8 PM, Sun 2 PM, Goodman Theatre, 170 N. Dearborn, 312-443-3800, goodmantheatre.org, $25. "Oftentimes," says Henry Godinez, the Goodman's resident artistic associate, "corporal work in Latin American theater tends to be stylized and graceful and elegant and metaphorical." 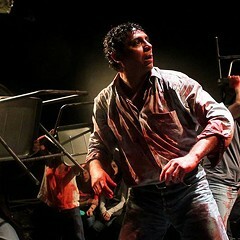 Not so the blood-soaked production of Mendoza he witnessed two years ago in Mexico City: "I was blown away by it . . . This is just outright friggin' visceral as all heck," he says. 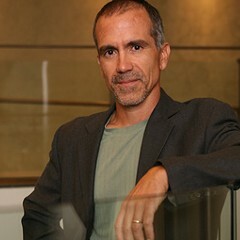 "Elizabeth Doud, who has worked with [cultural incubator] Fundarte in Miami, she and I were at the same performance. And so the both of us were like, 'Oh my gosh, this is amazing. We've got to get it to the States.'" A reimagining of Macbeth written by Antonio Zúñiga and Juan Carrillo and copresented by the Goodman and the Mexico City-based company Los Colochos, Mendoza uses corridos (Mexican narrative folk ballads) in an intimate cantina setting to tell a timeless story of corrupt ambition against the backdrop of the Mexican Revolution, with evocative elements of the 2014 Ayotzinapa massacre in which 43 Mexican students were kidnapped and presumed killed. 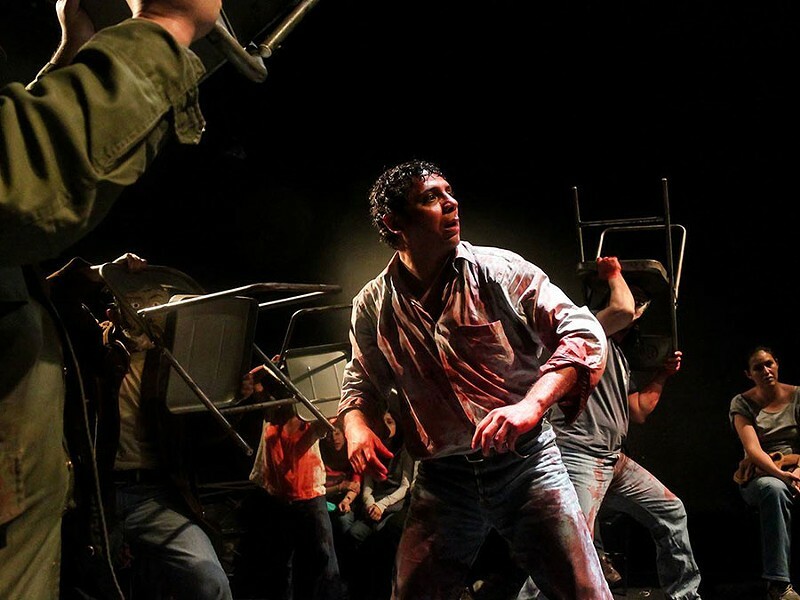 Los Colochos has already toured its flagship production throughout Mexico, Latin America, and Europe; the Goodman's staging, a limited five-performance run, will mark the show's first U.S. production. 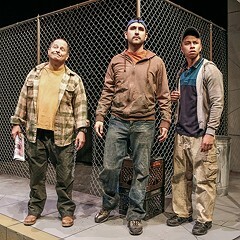 It's part of the second annual Chicago International Latino Theater Festival. "I always think that's a good cautionary tale for us as a country here," says Godinez, "because we're not immune from that sort of obsession with power. I think it's a great opportunity for our audiences to see it through a lens that is very real for our closest neighbor to the south. The play wonders, can life for immigrants in America one day be humane? "They just keep coming, and they're trained and talented."